Get the latest news and stories about geothermal straight to your inbox. Geothermal: How Does it Work? If you’re a homeowner interested in saving money and using energy more intelligently in your home, exploring geothermal should be your first stop. You might be wondering, what exactly is geothermal, and how do geothermal heat pumps work? Just below the frost line underground, the soil remains a fairly constant temperature of around 50°F. Home geothermal systems use this steady ground temperature to more efficiently heat and cool homes. 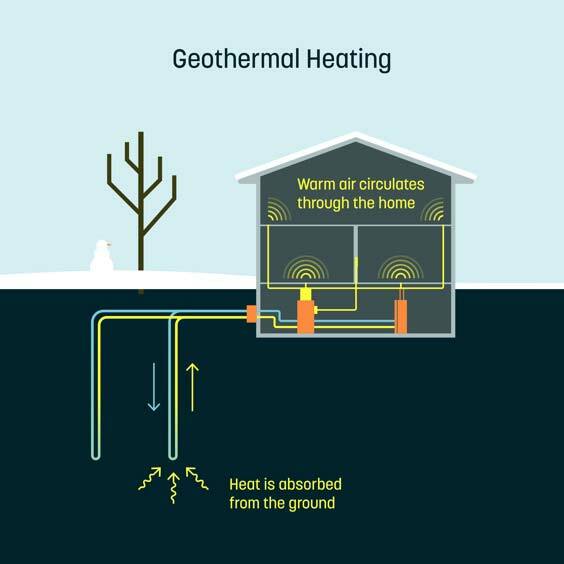 Home geothermal systems are made up of two basic parts–a geothermal heat pump that sits inside the home, and underground pipes called “ground loops” installed below the frost line outside. Heat pumps use a small amount of electricity to transfer heat from one place to another. If you’ve ever used a freezer, you’ve essentially seen a heat pump in action. Freezers pump warm air out of the freezer compartment, where it comes in contact with a closed loop of freezing cold coils and returns as refrigerated air. Geothermal heat pumps work in a very similar manner. An non-toxic antifreeze solution is pumped through a closed set of pipes underground, along the way, picking up the ambient temperature of the ground. If this solution enters the ground hot, it steadily cools itself down to 50°F before returning to the house. If it enters the ground cold, it’ll steadily warm itself up to 50°F before returning. Once this 50°F solution enters the home, it’s piped into the geothermal heat pump. In the winter, the heat pump uses the ambient temperature of the ground and some electricity to heat a home. In the summer, the process gets reversed. Hot air gets pumped into the system and is dispersed into the stable and relatively cooler earth. The result is an energy efficient way to run your heating and cooling system year-round, at a fraction of the cost and environmental impact of electric, oil or propane heating systems. Here at Dandelion, we’ve focused our early work on developing technology to make home geothermal energy a cleaner and more affordable alternative to conventional heating and air conditioning systems. If you’re curious about how much you might save, sign up here to check if we’re available in your area and can offer you an estimate. What is included with a Dandelion geothermal heating and cooling system? How is a geothermal heating and cooling system installed? How can I find out if a Dandelion geothermal heating and cooling system is right for my home? How much does a geothermal heating and cooling system cost? How does geothermal compare to other heating options? How is a geothermal heating and cooling system maintained? How long will Dandelion’s geothermal heating and cooling system last? Where is Dandelion currently operating? 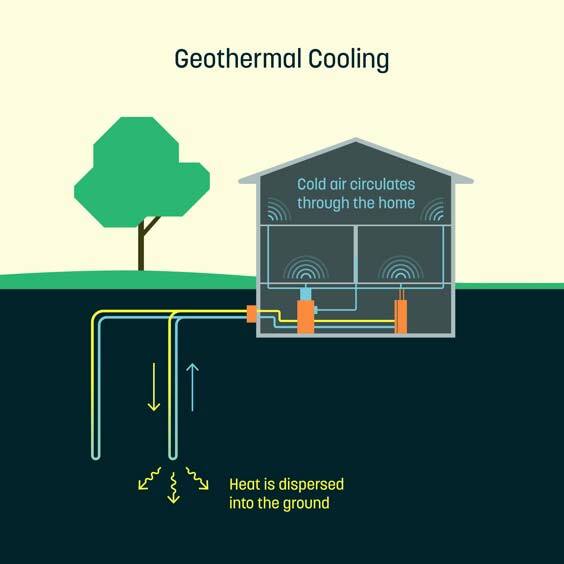 A geothermal heating and cooling system is basically made up of two parts: a geothermal heat pump that sits inside the home, and one or two underground pipes called “ground loops” that are installed in the homeowner’s yard. Heat pumps do exactly what their name suggests: they use electricity to pump heat from one place to another. A refrigerator is an everyday example. To keep your food and drinks cold, your fridge uses electricity to pump heat from the inside of the refrigerator to the outside air. A geothermal heat pump works similarly: in the summer, when you want your home nice and cool, it moves heat from inside your home into the earth; in the winter, when you want your home warm and toasty, the pump moves heat from the earth into your home. The ground loops are U-shaped plastic pipes, inserted 300 to 500 feet into the ground, that are used to exchange heat between your house and the earth. In the wintertime, water circulating through the ground loops absorbs heat from the earth, which is used to warm your home, and in the summertime your home is cooled by transferring the heat from your home into the earth. Dandelion’s geothermal heating and cooling system replaces your existing heating, cooling and hot water equipment. The system includes a heat pump (roughly the same size as a furnace), water heater and smart thermostat which are each installed inside your home. The system also includes ground loops, or U-shaped plastic pipes, that are inserted a few hundred feet below the ground outside of your home. The complete system is installed in two to three days. First the ground loops are installed in the yard by drilling one or two vertical holes just a few inches wide to depths of a few hundred feet. Ground loops are U-shaped plastic pipes that are used to exchange heat between your house and the earth. Dandelion has designed a clean drilling technology, so there will be minimal disruption to the yard. Finally, the heat pump, water heater and smart thermostat are installed inside of your home by a technician in just a few hours. First check if Dandelion is available in your area; please visit our homepage and enter your zipcode. Dandelion will conduct an assessment that will inform you of how much money you’re likely to save by switching to Dandelion’s home geothermal system. For qualified homeowners, Dandelion offers a home geothermal heating and cooling system for $20,000. 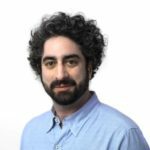 Dandelion is partnering with a leading financing company to enable homeowners to switch to home geothermal energy with zero upfront costs and low monthly payments. Geothermal heating and cooling is the cleanest and most efficient heating and cooling technology on the market. Because the system taps into a renewable resource, the earth, your heating and cooling source will never run out and monthly bills are predictable. An average homeowner who uses oil or propane to heat the home spends $2,500 a year on heating fuels, which averages to almost $210/month. With Dandelion's zero-down installation, homeowners can expect to pay less. Dandelion’s home geothermal heating and cooling system simply requires changing the air filter in your home every 6 to 12 months. You’ll also be able to monitor the performance of your Dandelion system online. The typical lifespan of a geothermal heat pump is 25 years. Closed-loop piping typically lasts for at least 50 years. The Dandelion system is available to qualified homeowners in 11 counties in New York state: Dutchess, Ulster, Columbia, Greene, Rensselaer, Albany, Schenectady, Schoharie, Saratoga, Montgomery and Fulton. Dandelion is currently working on a new and improved home geothermal offering for Summer 2018. Please sign up to let us know you’re interested and we’ll be in touch when the new offer is available. Dandelion is not yet available in your area, but Dandelion selects communities for expansion based on homeowner interest. Sign up to let us know you’re interested and tell your neighbors to do the same. The more sign ups we get, the sooner we’ll be there! By clicking here, I agree that Dandelion can contact me using the number provided. Please sign up to let us know you’re interested and we’ll add you to our waitlist.